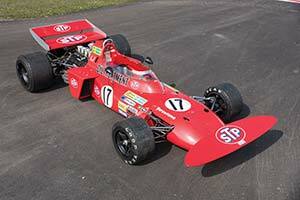 The second March 711 built, this was the car allocated to Ronnie Peterson during the first half of the 1971 season. His best result with this car was a second at that year's Monaco Grand Prix. Halfway through the year, Peterson switched to a new car and this chassis was entered for others. Among them was a young Niki Lauda, who used it during his Grand Prix debut at his native Zeltweg. March sold this car in 1973 to a Swiss enthusiast. During the 1990s, he had it completely restored to full running order and then campaigned it with considerable success in historic events. After a 43-year, single ownership, chassis 711-2 was consigned to the 2016 RM Sotheby's Monaco Sale.